Kenneth I. Kolpan, a Boston attorney for 46 years, has handled several hundred brain injury cases, including many involving hard to detect injuries to the brain. With years of experience working at two Boston area teaching hospitals learning about the medical aspects of serious injury cases, Attorney Kolpan has handled products cases, medical malpractice, worker’s compensation, motor vehicle collisions, sports related incidents and other personal injury cases involving traumatic brain injuries, amputation, death, paralysis and other serious injuries. Attorney Kolpan has recently been selected for inclusion in New England Super Lawyers magazine featuring the top 5% of attorneys in New England. Attorney Kolpan has also been designated a Massachusetts Super Lawyer for 2005, 2006, 2007, 2008, 2009, 2010, 2011, 2012, 2015, 2016, 2017 and 2018. He has also been designated a New England Super Lawyer in 2010, 2011, 2012, 2013, 2014, 2015, 2016, 2017 and 2018. Mr. Kolpan is the Immediate Past President of the Brain Injury Association of Massachusetts. Prior to his election, Mr. Kolpan was a member of the Board of Directors, the former Treasurer and a member of the Executive Committee of the Massachusetts Brain Injury Association for several years. 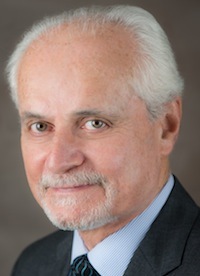 Attorney Kolpan was an Assistant Professor in Rehabilitation Medicine, where he taught Law and Medicine to first year medical students, at the Tufts University School of Medicine and has been Co-Chairperson of the North American Brain Injury Trial Lawyers Conference for the last 31 years. He was also on the Editorial Board of the Journal of Trauma Rehabilitation where he served as Medical Legal Editor for 12 years. Currently, Attorney Kolpan serves as a member of the Board of Directors of the Brain Injury Association of Massachusetts. For the last 22 years, Attorney Kolpan has received an AV rating from his peers, the highest rating available, according to the legal publication Martindale Hubbell. Attorney Kolpan has chaired and presented programs to Massachusetts attorneys sponsored by the Massachusetts Bar Association, Massachusetts Academy of Trial Attorneys and the Massachusetts Continuing Legal Education association.